Take advantage of the latest multiplayer update by finding out how you can join up with other players in No Man's Sky NEXT. 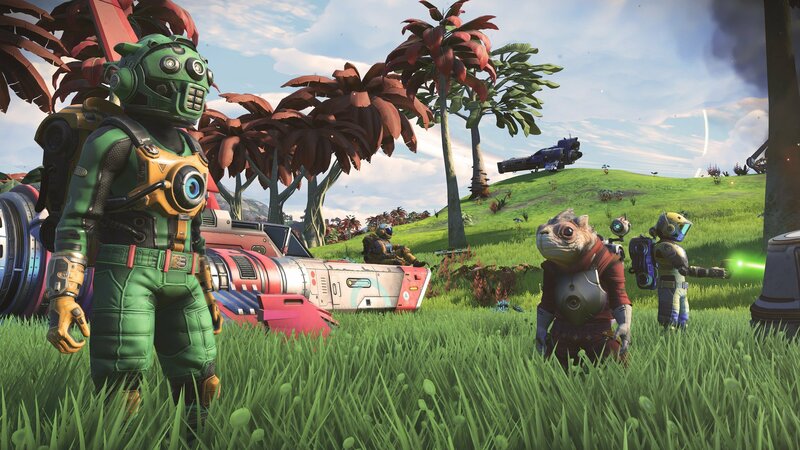 Thanks to the No Man’s Sky NEXT update, players now have the ability to join other players in multiplayer. Of course, it’s worth noting that multiplayer works a little differently in No Man’s Sky NEXT than your traditional MMO. For example, if you’re not in a party and you try to meet up with someone in-game, you likely won’t see them when you arrive at the location you designated. Additionally, the multiplayer world of No Man’s Sky NEXT is restricted to 16 players per “instance,” or 16 players occupying the same universe. You won’t see these other players the same way you see your party members, though. There are other limits in No Man’s Sky NEXT multiplayer, including a maximum of four players per party (you and three other people). With that in mind, let’s run through how you can join up with other players in No Man’s Sky NEXT! There are two ways to join other players in No Man's Sky NEXT. When it comes to joining other players in No Man’s Sky NEXT, you’ll need to begin the party process from the start menu. First, load up No Man’s Sky NEXT or quit to the start menu from your current game. On the No Man’s Sky NEXT start menu you’ll have two options available to you including Play Game and Join Game. If you select the “Play Game” option, you won’t join up with any party members. Instead, you’ll enter the No Man’s Sky NEXT world along with 15 other “instance” players. You won’t be able to see these instance players the same way you see party members. Instead, instance players appear as a floating orb (if you’re able to find them in No Man’s Sky NEXT’s massive universe). To join up with other players in a party, you’ll need to select the “Join Game” option. By selecting Join Game, you’ll be presented with two additional options including join someone you know (like a friend from your friend’s list), or join random players. Regardless of which option you choose, you’ll be able to join a party with other players. 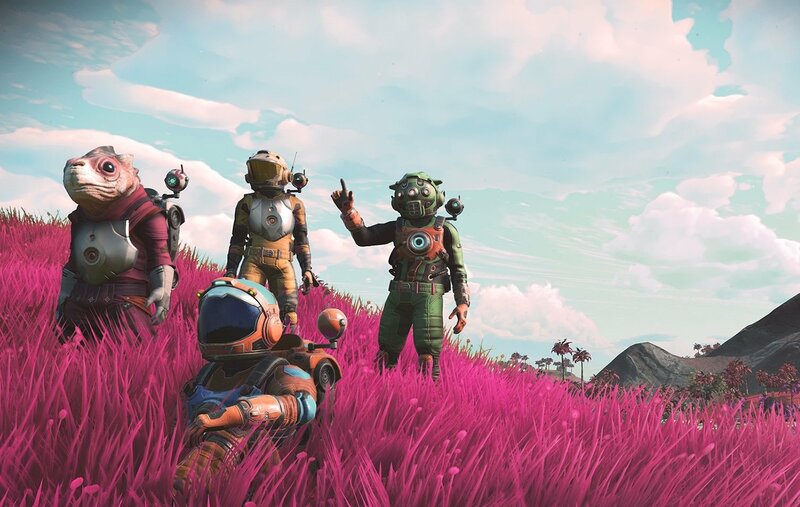 The best way to join other players in No Man's Sky NEXT is by creating a party with three other people. These party members can see your avatar, communicate with you, share resources, and more. Note that you can only have three players in your party to create a party total of four. By following the steps above, you’ll be able to join other players in the multiplayer world of No Man’s Sky NEXT. The party setting is more akin to the traditional “multiplayer” players have been waiting for, so we recommend trying the party option first. Of course, playing the game will still allow you to play alongside “instance” players which is cool in its own right. How do you prefer to play No Man’s Sky NEXT, in a party or alongside instance players? Let us know your thoughts down in the comments below! For more on No Man’s Sky NEXT, be sure to check out some of our other guides including how to switch from first-person to third-person in No Man’s Sky NEXT, how to get a Freighter in No Man’s Sky NEXT, and how to get Chromatic Metal in No Man’s Sky NEXT. By reading through this guide, you should now know how to join other players in No Man’s Sky NEXT.